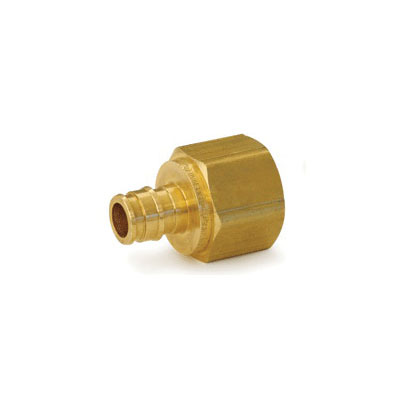 ProPEX® brass female threaded adapters connect Uponor PEX tubing to female NPT threads. Use the adapter in hydronic heating and cooling systems. One end of the adapter is manufactured with the Uponor ProPEX® fitting for connection to Wirsbo® hePEX™ tubing and the other end is manufactured to adapt a male thread. These adapters are not safe for direct burial in soil.